An inspiring book from one of our greatest living spiritual teachers. Just as the life stories of the Buddha and Christ have served those on the spiritual path for millennia, our own lives can serve as important teaching stories. 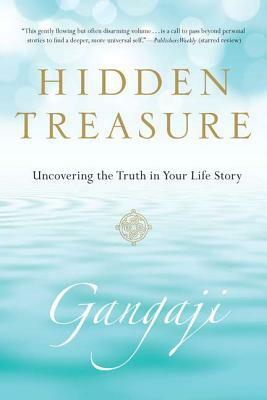 In Hidden Treasure, one of the great spiritual teachers of our time, Gangaji, uses the telling of her own life story to help readers unveil the truth in their own. Antoinette (Toni) Roberson Varner was given the name Gangaji by her teacher Sri H. W. L. Poonja in 1990. Before that meeting, she had pursued many paths to enlightenment. Raised in the 1950s in the racially divided South, she married young and had a daughter. Following the dissolution of her first marriage, she moved to Northern California and immersed herself in the spiritual culture that was flourishing there; but her efforts to achieve lasting fulfillment ultimately fell short. In the wake of her disillusionment, she made a final prayer for help. The answer to her prayer came unexpectedly, taking her to India and to the meeting that would change everything. On the banks of the River Ganges, she met Poonja, also known as Papaji, who opened her mind to the eternal presence of being. In this life-changing book, Gangaji guides readers in recognizing that while their life stories follow universal patterns of human suffering, by uncovering and speaking the truth of these stories, they can open the doorway to the possibility of living freely and in truth. Hidden Treasure invites readers to discover the fulfillment that can exist for anyone, right here, right now. GANGAJI is dedicated to the recognition of peace and freedom inherent in all being. An internationally renowned teacher and the author of The Diamond in Your Pocket, she is supported by her foundation's global network of volunteers. Gangaji shares her direct experience of the essential message she received from her teacher Papaji and offers it to all who want to discover a true and lasting fulfillment. She lives with her husband in Oregon and offers retreats in the United States, Copenhagen, Canada, Europe, England, and Australia.